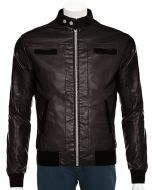 L J D presenting Black Hood Leather Jacket For Men. It is one of the most popular design in modern Era. 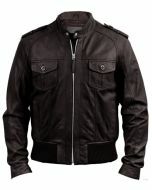 Made from high quality cowhide leather. A new addition in our Leather Jackets. 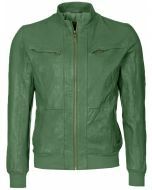 Enhance with front zip closure, hood jacket, 1 pocket inside, side pockets, stretchable cuffs and stretchable waist.